Ellie Pryor and Dan Thompson will be flying the flag at the Youth Olympics in Buenos Aires this weekend when they join the 43-strong team in chasing medals in 17 sports. 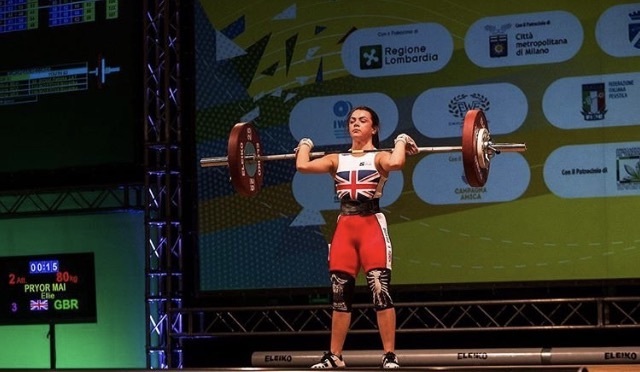 Aberdare weightlifter Pryor, the British U17 champion, was introduced to the sport by former Welsh Commonwealth Games gold medallist and double Olympian Michaela Breeze, while Wrexham archer Thompson first tried his sport on holiday. Now they will be rubbing shoulders with the next generation of world superstars in a programme of 32 sports that run across 12 days of competition from Saturday, 6 October. Team GB consists of athletes who are aged between 14 and 18-years-old, with the Youth Olympic Games playing a crucial role in the development of young athletes from the United Kingdom and across the world. The Youth Olympic Games provides crucial multi-sport experience for aspiring Olympians and Team GB’s class of 2018 will be hoping to follow in the footsteps of the likes of Tom Daley, Jade Jones and Duncan Scott, who all went on to win medals at an Olympic Games having first competed at a Youth Olympics. Double Olympic gold medallist, Jones, will be joining the British contingent as one of 62 Athlete Role Models, whose presence as Olympians at the Games will be to support, advise and inspire the young athletes. Jade Jones, who will be in Argentina as a role model, won the Youth Olympic title before string double Games gold. Jones struck gold in the taekwondo event at the 2010 Youth Olympics in Singapore before going on to clinch gold at the senior Olympics in London 2012 and Rio 2016. Joining here from the UK will be four-time Olympian, and captain of Team GB’s gold medal winning women’s hockey team in Rio, Helen Richardson-Walsh. Thompson secured Team GB a vital second quota place in Argentina with a top three finish at the Continental Quota Tournament in June. He reached the final, but had to settle for silver behind top seed Senna Roos, of Belgium. Earlier in the year he competed for Great Britain’s Recurve Cadet men’s team at the European Youth Championships in Patras, Greece, where he finished ninth. The 16-year-old Darland High School product was once again beaten by Roos in the quarter-finals. Thompson, centre, aiming to be on target inBuenos Aires. In the team event, however, he played his part in helping Team GB to secure the bronze medal. “It was a good start to my international career and to come home with a medal was great, But the fact that I qualified for the Youth Olympics made it the best feeling so far in my archery career,” admitted Thompson at the time.